Edmonton is an area in borough of Enfield, which is in Greater London. With a population approaching 100,000 across the whole Edmonton constituency, there’s a strong property market in the area thanks to its close proximity to the capital. At My Home Move Conveyancing we’ve been developing our knowledge of this local markets like Edmonton since 2001, allowing us to bring our clients in this area an outstanding specialist conveyancing service. You’ll need to instruct property lawyers to complete the legal work on your behalf when buying or selling property in Edmonton. 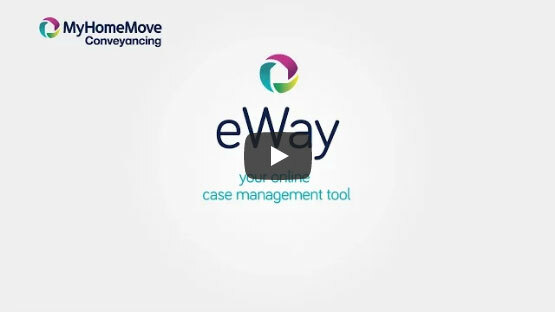 When you choose My Home Move Conveyancing to be your Edmonton conveyancers, you’ll reap the benefits of our award winning customer service, innovative use of technology and positive approach to everything we do. Our conveyancing service comes for a fixed fee, meaning there are no hidden costs to add to the stress of moving, and you can plan exactly how much you’ll be paying from the outset. What’s more, if you don’t end up completing for some reason, you won’t have to pay us a penny in legal fees. We assign all of our clients a dedicated conveyancer, who’ll act on your behalf from start to finish, providing you with clear updates on the progress of your case, a consistent point of contact, and a high level of expertise. At My Home Move Conveyancing we supply our conveyancing services in Edmonton to homebuyers across the local area, from those looking for something close to Edmonton Green station, the shopping centre, and Church Street Recreation Ground. The average house price in Enfield is £400,486, while the overall average sale price in Edmonton over the past 12 months was significantly lower than this at £319,125. Most sales during this period involved terraced properties, which went for an average of £359,166. Flats sold for £210,523, and semis fetched £385,821. Recorded in the Domesday Book of 1086 as Adelmetone, Edmonton has long been a popular place to live. The railways arrived in 1840, and as services continued to improve Edmonton continued to grow. There has been lots of redevelopment in the area over recent years, meaning there are lots of modern amenities for residents to take advantage of, including in the Edmonton Green area. One of Edmonton’s major attractions remains its proximity to London, and the capital’s Liverpool Street station can be reached in just over 20 minutes by train, making it ideal for commuting. The North Circular Road passes through Edmonton, providing great access to other parts of Greater London, while the M25 motorway passes to the north. Stansted is the most conveniently located airport for Edmonton, which is around 30 miles away, and approximately 45 minutes by car. There are plenty of schools in the local area for families with children to consider, including Hazelbury Primary, Oakthorpe Primary and Starks Field Primary. Options at secondary level include Aylward Academy on Windmill Road and Edmonton County School on Great Cambridge Road. For higher education, London’s selection of universities are just a short journey away by public transport. All properties in Edmonton will fall within one of the following council tax bands.